I grew up going to the library. In fact, as soon as I got my driver's license, I would take my sisters and brother to the library in downtown Sacramento. I navigated two freeways, one way streets, and a multi-level parking garage to go to Central Library. Central Library is one of 28 locations in the Sacramento Public Library system. Last week, when Anthony and I went to the Concerts in the Park and saw the Gypsy Boutique, we stopped at Central Library first. I walked over to the nearest computer, pulled out my iPad, and started looking up the books from Anne's Ultimate Beach Reading Guide. 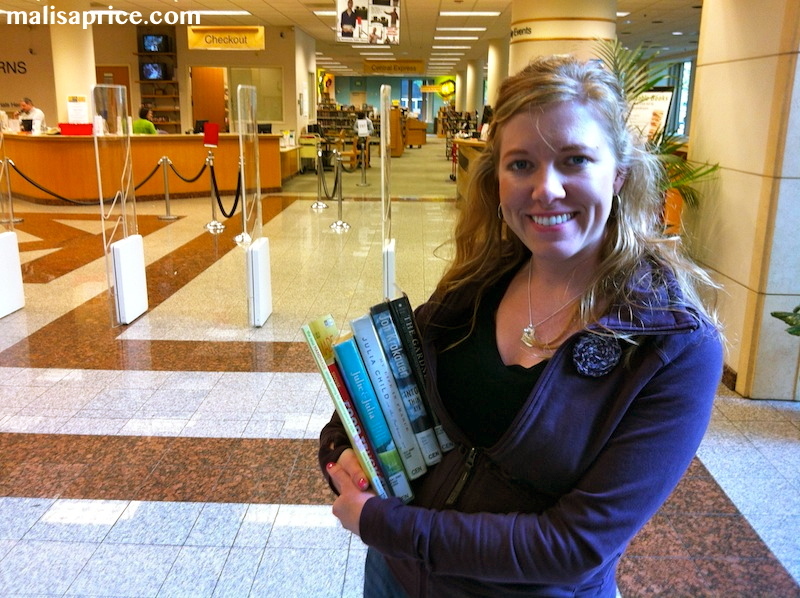 Much to my surprise, the library had 3 of the books on her list available to check out that day. Having previously set up my online account, I was also able to request a number of other books from Anne's list and have them sent to Central from other Sacramento area libraries. As the week progressed, I got 4 emails that books I had requested were waiting for me! Sunday, we stopped by the library and I quickly found my requested books. I walked right up to the counter and rented the books in less than 5 minutes. All of this for FREE! Obviously, our taxes go towards funding this community resource, but it didn't cost me a penny to get my library card or check out books. Our library system also has an eBook library that you can download an application and read books digitally. As I wrote this post, I saw that the libraries are trying to get publishers to allow them to access more eBooks. Check out this video for more details. And if you're interested, you can sign a petition to send to the publishers. Have you ever used the library? If not, why not? If yes, what is your favorite thing about your local library? Linking with Alicia for Try New Adventures Thursday!